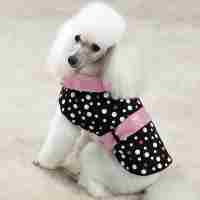 Only one dog rain coat left in stock in XS size. Bark Avenue Dog Boutique Has Been In Business Since 1992. Bark Avenue Dog Boutique's Facebook Page. Our Dog Blog Has The Latest Info on Our Products Plus Other Dog and Pet Related Articles of Interest.